Congratulations to our Grand Prize winner, "Sally M." and our runners-up, "Heather M." and "Martha L." Thank you to all who participated, and Happy Holidays to all! Have yourself a happy little holiday with the JUST ROMANTIC SUSPENSE Holiday Giveaway! 30 awesome romantic suspense authors have pitched in with their digital books to make your holidays special. From December 18-20 everyone can have a Happy Holiday on JRS! On December 21st, one grand prize winner will be able to select 10 titles of their choice from the big ole list of books. Big ole list of books! To enter, simply stop by with a comment or email and share your favorite aspects of the holidays! Giveaway ends 11:59pm EST Dec. 20th. Please supply your email in the post. You may use spaces or full text for security. (ex. 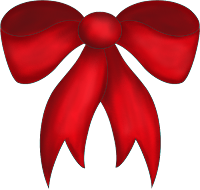 jsmith at gmail dot com) If you do not wish to supply your email, or have trouble posting, please email maureen@justromanticsuspense.com with a subject title of JRS HOLIDAY GIVEAWAY to be entered. This giveaway is eligible for Kindle or Nook digital formats unless otherwise specified by the author. OMG! This would be one of the BEST Christmas gifts EVER! Thanks for this chance to win. Love, Avonna Kershey. Forgot my email: agkersh@live.com for Avonna Kershey. Thanks again! I love the gathering of everybody at Christmas. I think that's my favorite part! I LOVE ornaments! They are little tiny memories on my tree. I smile every time I see them! My favorite part of the holidays are the parties & the great Christmas themed books! My favorite part of the holidays is spending some time with family and going to Christmas Eve service. Merry Christmas and thanks for the great giveaway! I love the kindness of everyone...like you having this contest. Someone is going to be VERY happy. Oooo another giveaway. My favorite thing for the holidays is watching my grand daughters opening their presents and then cuddling and watching movies with them. I would love to win these books. I have never read a lot of these authors, but I am always looking for new authors. Especially in this genre, since this is my absolute favorite genre. I am Jewish and do not celebrate this holiday. However, we consider this a wonderful time of the year for our family to get together. On Christmas Eve, we always go out to dinner (more and more places are open now. when we first started then was only only one. Then we would go looking at Christmas lights for the rest of the night. We spent the afternoon looking in the newspaper and on-line for the great new ones, and we always revisited old ones. On Christmas Day, our family would get up late and go see a movie. Then we would eat out - usually Chinese because they were the only restaurants open when my children were little. We have just as much fun as everyone else, and I can't wait to continue it with my grandchildren. My favorite part of the holiday is driving around and looking at Christmas lights. Seeing my son getting into the Christmas spirit this year. 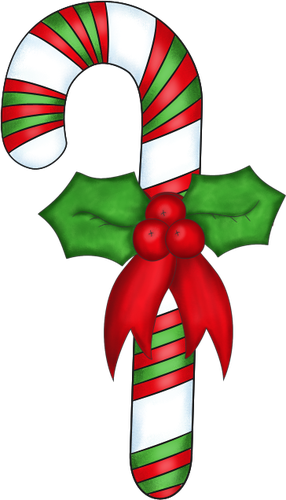 I love the festive atmosphere and getting to spend time with family and friends. I love spending time with my family, good eats and time off work! 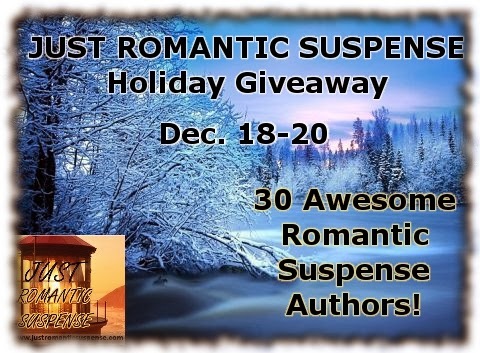 Incredible giveaway - so many great authors!! What a fantastic giveaway for the holidays! What I love most about this time of year is everything! I enjoy the lights, the tree, spending time with friends and family, and seeing everyone happy! 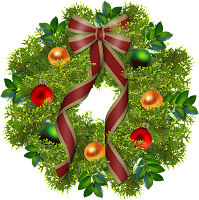 Christmas is the only holiday the extended family is together - it's wonderful to see everyone, hear what's been happening and sharing a wide variety of food. I love the smell of peppermint and cinnamon. I love driving around at night and looking at all the lights and decorations! My favorite part is the goodwill. This is an incredible line up thank you. I love catching up with all of the family. Happy Holidays!! My favorite part is how most people seem to be nicer. And I love giving gifts so I have lots of fun shopping for them. My favorite part of the holidays is catching up with family and friends that haven't been seen for awhile and Christmas carols. I love Christmas music and wish I had a great voice. My favorite things about the holidays is spending time with all of my family. No matter where they are/live, we all come together for Christmas. I also love that i get to make all different kinds of food! I love to cook! Merry Christmas everyone! My favorite thing about the holidays is being off at work! More time to read and spend with my family. What a great giveaway. Merry Christmas! Christmas is family to me. What I like best about Christmas is having my children and their families visiting for the day. This year will be different for us though because we live in Canada and one of my children is in New Zealand. Awesome giveaway! My favorite part of the holidays is spending time with the family. My favorite part of the holiday? We have 40-50 people for dinner every year. Yes, it's crazy. Yes, it's loud and crowded. But it's so much fun to have family and friends over so no one is alone. Bring a friend too. And then my little family goes away for a few days of relaxation for the new year. I love watching the grandkids open their presents!! Putting the ornaments my daughter made as she was growing up on the tree..
My favorite part of the holidays is being together with family. You just can't replace that sense of belonging that happens when all of my siblings & our families come together. Even my worries about being unemployed take a back seat during that time. Merry Christmas, everyone! Hope you enjoy a warm, wonderful and blessed time however you choose to spend the holidays. my favorite part of the holidays is watching my kids enjoy all the special moments. please enter me for the giveaway. My favorite part of Christmas is the beautiful music. I love, love, love, Christmas songs. I tend to go on YouTube and listen to my favorites by multiple artists. It's so encouraging and uplifting!